We are always grateful when longtime clients take a moment to recognize the contributions of our team. 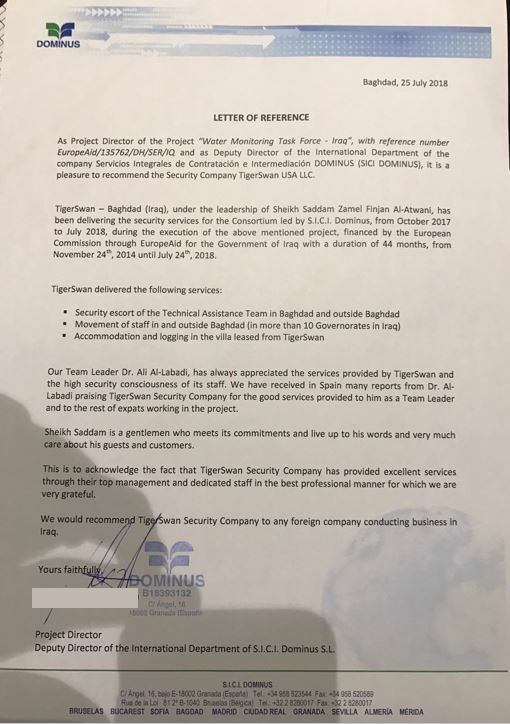 From accommodation and housing in our secure villa to security escorts for client personnel traversing the country, our team enabled the client to meet their mission objectives. Funded by the European Union, our client was the consortium leader on implementing an integrated water quality monitoring system in Iraq. It is a privilege to serve our clients, and it is especially rewarding when they take a moment to recognize the effort we pour into our services. We are extremely proud of our Iraq team and are humbled to be a part of this critical project.